THE REVIEW: I remembering playing the Warcraft games as a kid and to this day have fond memories of it as a great real-time strategy game, and, after seeing this film, one I want to go back and play. No matter how much I love the video game, Warcraft the film is a separate medium and will succeed or fail based on its own merits. Many critics have spoken very unfavorably about the film focusing mainly on how it feels like any other action/adventure/science fiction film from recent memory (think the Lord of the Rings films and the like). On some level I do see where this criticism comes from. Warcraft is indeed very exposition-heavy which in turn minimizes the potential impact or wow-factor that can be delivered. For people completely unfamiliar with the franchise all this film will seem like at first glance is a bunch of CGI characters and humans in fancy costumes fighting each other and using magic. Even as someone who had a basic understanding of the orc/human and Azeroth setting, I was quite overwhelmed at the beginning of the film. So overwhelmed with the amount of information trying to be conveyed that I thought by the end I’d have a blank stare on my face, consumed with confusion. 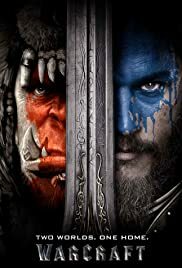 A film with a world and story as detailed as Warcraft should be able to make you forget about many things an immerse you as quickly and as deep as possible into the setting the film depicts. The aforementioned Lord of the Rings trilogy does a fantastic job with this — from the opening prologue you are almost instantly sucked in to the gigantic world and staggering number of characters the next 10+ hours will focus on. With Warcraft that doesn’t happen which is, I think, the root of other critics’ criticism and what I see as the biggest flaw of the film. Warcraft isn’t unoriginal or derivative of the other action/adventure fantasy blockbusters that came before it. It is hard to immerse yourself in the film however, which makes it difficult to commit to the story director Duncan Jones is trying to tell. At the heart of Warcraft, I think there is a compelling story there for fans of the video game and new initiates alike. There’s familiar good vs. evil and the influence of the dark side tropes abound, but I think Jones managed to bring the essence of Warcraft to the big screen and for that reason alone (at least for me) I enjoyed watching the first film and am rooting for Jones to be able to make sequels to continue the story he started.